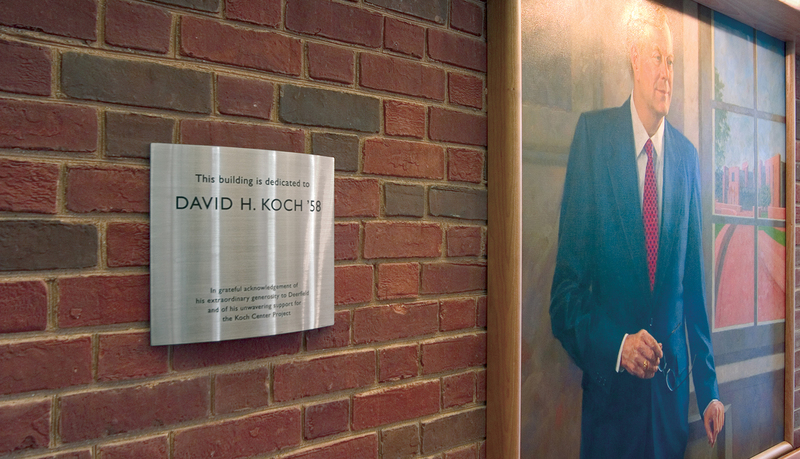 The David H. Koch Center, the new science center at Deerfield Academy, is a LEED® Gold rated, 80,000 square-foot facility for the study of science, mathematics, and technology. 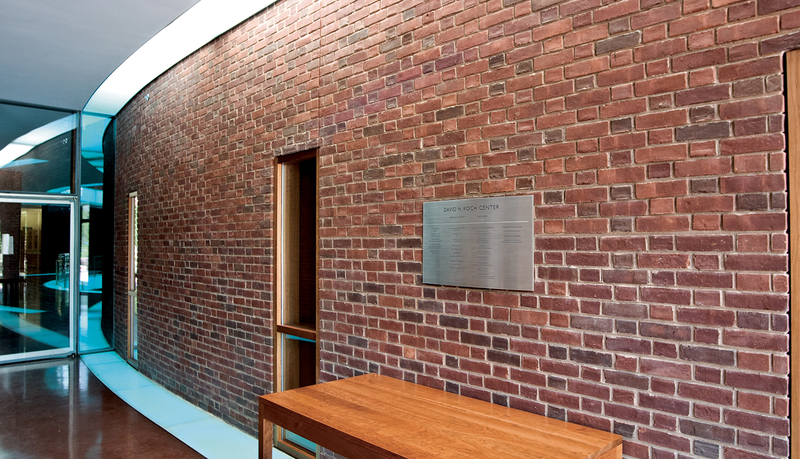 Many factors contributed to the LEED Gold rating, including daylighting in over 75% of the total space, a green roof that captures storm water run-off and reduces heat-island effect, and the fact that 90% of the previous science center was recycled during demolition and 85% of the site waste was recycled during construction. 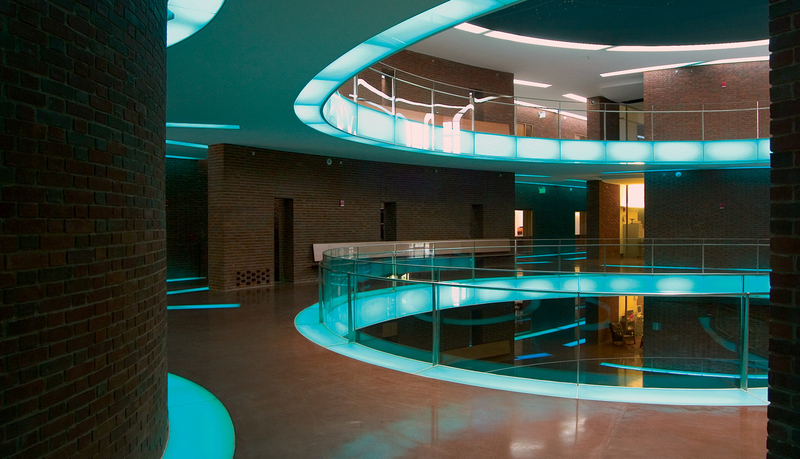 The center includes a planetarium, 30 classrooms and laboratory spaces, dedicated space for independent research, a computer lab, a 225-seat auditorium, an astronomy viewing terrace, a central atrium and a cafe where students and faculty can gather. 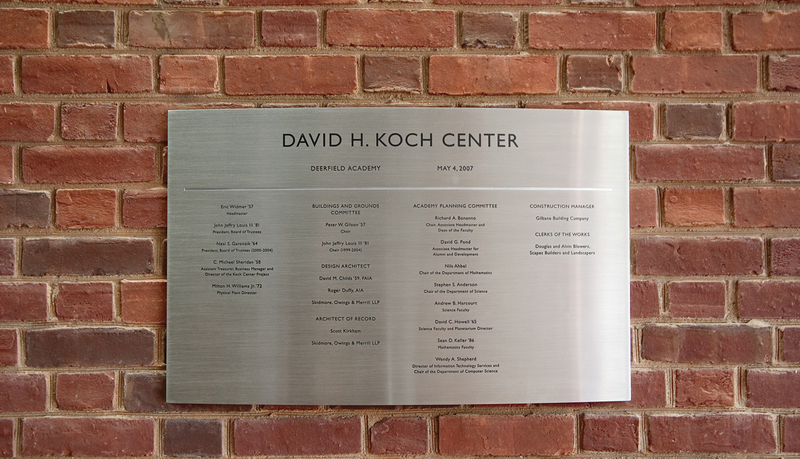 Deerfield Academy wanted a unique, modern signage solution for the new David H. Koch Center for Science, Math & Technology that would complement the state-of-the-art facility. 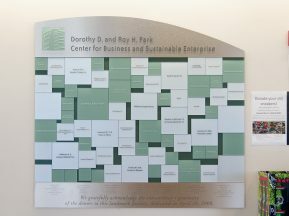 Because it was seeking LEED certification, the center wanted to work with a company that shared its green ideals. 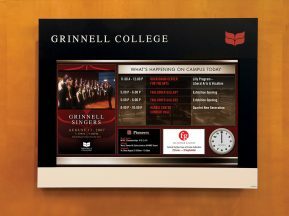 Skidmore, Owens & Merrill, the designers of the signage, chose ASI based on its relationship with Deerfield Academy. 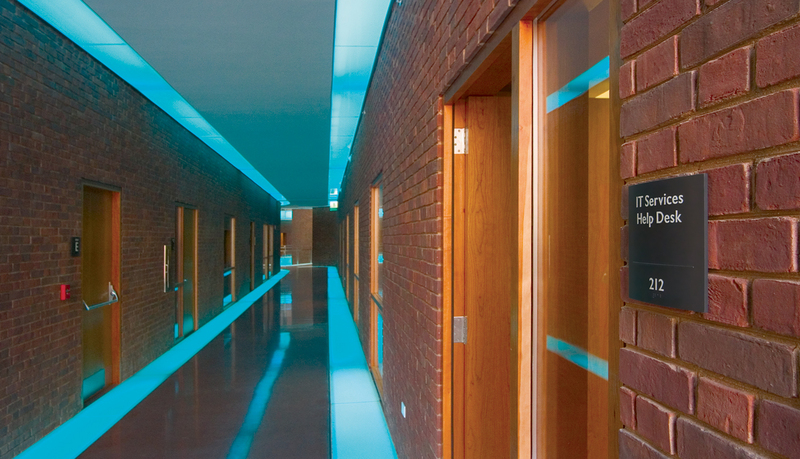 Additionally, ASI has extensive experience working with educational facilities throughout the country, and as a member of USGBC, ASI shares the green ideals of the academy. 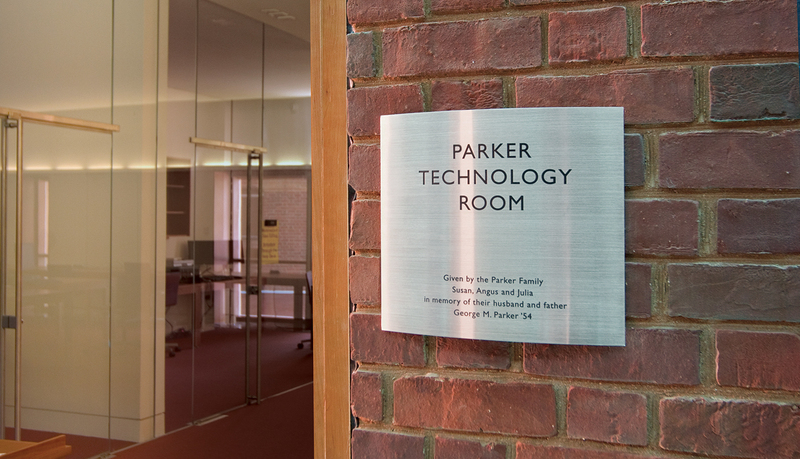 ASI produced and installed custom signage based on the designs by Skidmore, Owens & Merrill. 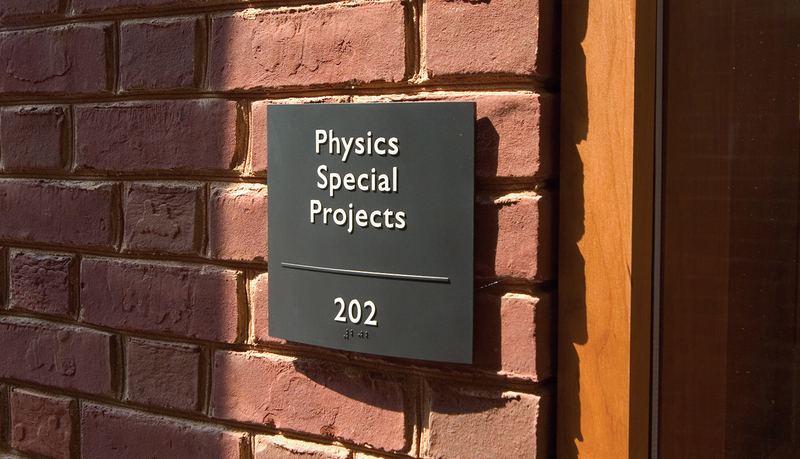 ASI provided an aluminum and steel-based signage solution because of the durability of the product – a key sustainable element of signage. The longer the product can remain in the facility, the less time it spends in the waste cycle. 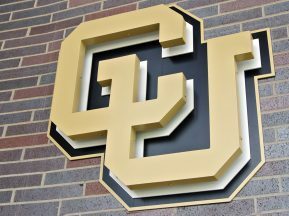 Also, because the center is a high-traffic environment, durability is essential to ensure the signs withstand the rigors of an educational environment – frequent cleanings and potential vandalism. 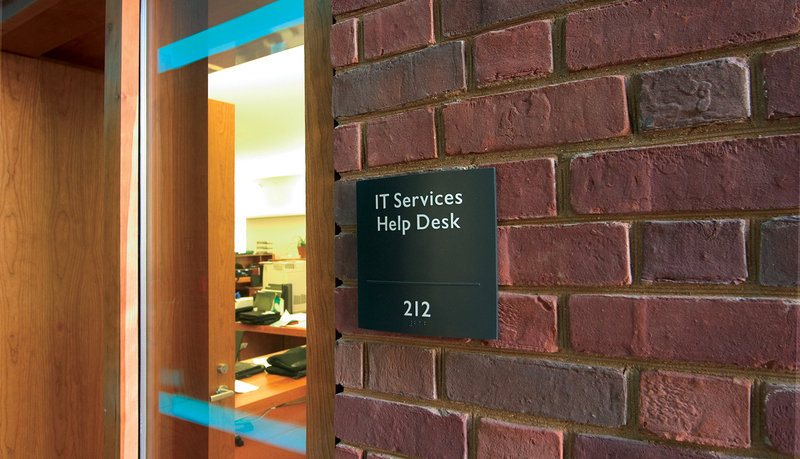 The room IDs are curved-face aluminum with black photopolymer overlay to meet ADA requirements. 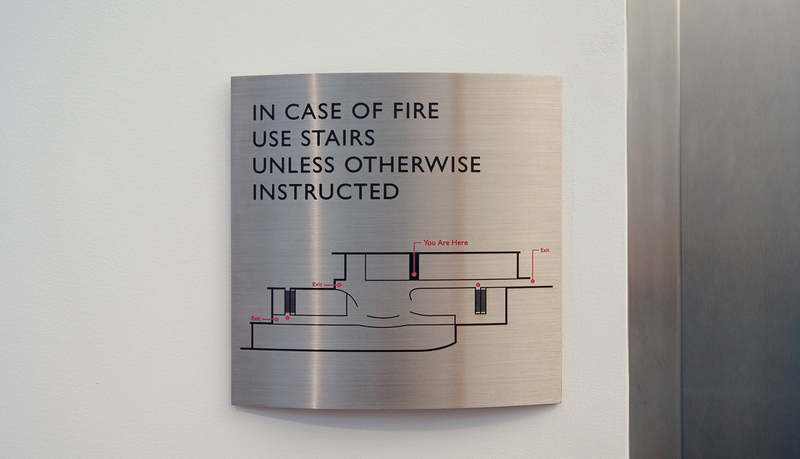 The raised, tactile lettering is painted white to contrast against the black background of the signs, making them stylish and easy to read. 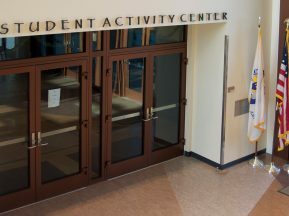 Additionally, because the coloring is opposite the color scheme of the other signage, the room IDs are easily recognized even by new visitors to the facility. 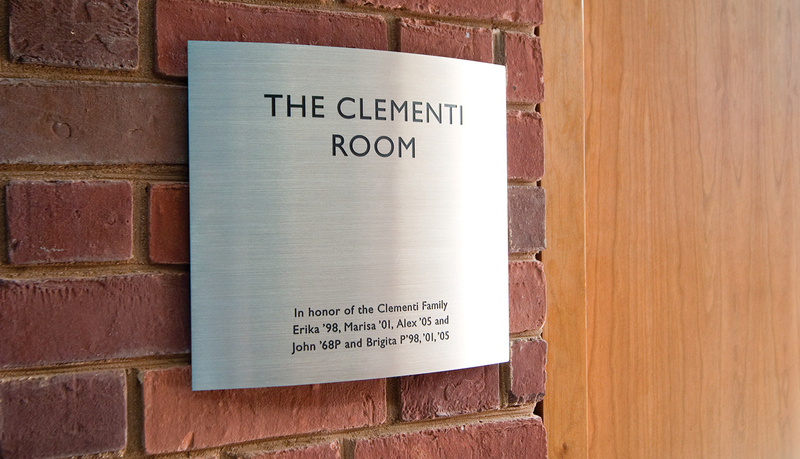 To commemorate individuals important to the school and the center and to recognize financial contributions and construction participants, ASI provided curved-face, SignEtch™ stainless steel donor plaques for rooms and areas throughout the facility. 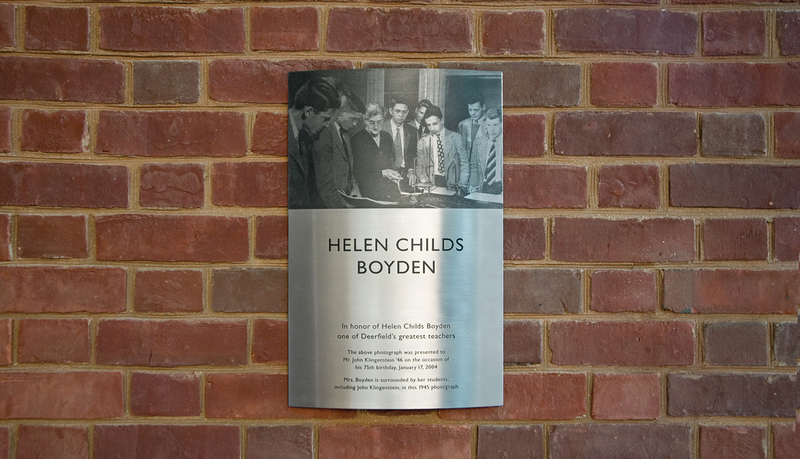 Many of these unique plaques incorporate digital photographs into the stainless steel at the top, with contributor information at the bottom.